Regular exercise is essential to your dog. Giving your dog a good walk or run regularly provides him with an opportunity for experiencing new stimuli and meeting other dogs – which will help him develop into a contented and well-adjusted dog. Exercise will also keep his weight down, which is important because obesity is a major health problem in dogs. And besides that, dogs usually love their exercise! Your dog needs to exercise every day, all year round. To exercise your dog outdoors, use a static collar, rather than a so-called “choke” collar, and always supervise his exercise. Don’t simply put him outside for the day while you’re out. Like most dogs, your dog’s idea of heaven is to run free. But if you’re near a road or if he’s likely to run away, you should keep him on a leash and under control. Both you and your dog will enjoy your exercise time together more if he’s well trained. At a minimum, he should understand and respond to the ‘heel’, ‘down’ and ‘come’ commands. To let your dog run free, find an area that is safe, such as a park with a specially designated area, and make sure he comes when you call him. Wherever you go, always be sure to clean up after your dog. Part of your walk should be over hard ground because this helps keep his nails short. Safety first If you are planning to start a more vigorous exercise programme with your dog, or if he is overweight and you want him to get more exercise, be careful not to overdo it at first. Take him to see the vet for a check-up and ask for advice. The key here is to start slowly. Look for signs of fatigue and stop when you see them. While you are running or walking in well-padded shoes, remember that your dog is essentially barefoot, so you should regularly check his paws. Run him on grass or dirt as much as possible and, in cold weather, wash and dry his paws after you’ve been out if there’s salt on the sidewalks or road. Your dog’s breed, size and age all factor into his exercise requirements. It doesn’t necessarily follow that larger dogs need more exercise. Dogs who were bred to work generally need more exercise than lap dogs. Ask your breeder or vet about how much exercise your dog should be getting. Puppies don’t need to be encouraged to exercise. However, you have to be careful not to over-exercise them because their bones aren’t very strong. The rule is to exercise them a little, and often. Middle-aged dogs may need more encouragement. It’s up to you to make sure he gets regular exercise through his middle years, which will help keep him to his proper weight. Older dogs need exercise, too. If you have an older dog, take him for shorter and more frequent walks. It will help keep his joints and circulation moving and give him the opportunity to relieve himself – which he may need to do more often as he ages. Never force him to exercise beyond his capabilities and don’t take him out in extreme weather conditions. Be aware that an older dog may tire more easily than he used to, and that his eyesight and sense of smell may be deteriorating. Your older dog can easily become disoriented if separated from you, so make sure you watch him closely. Running with your dog is a fun and healthy thing for you to do together. If you’re just starting to run with your dog, however, don’t overdo it. Start slowly and build up your endurance together. For your sake, make sure your dog knows the “heel” command, which will keep him running steadily behind your left leg. This will prevent any confusion about who’s in charge of the route. During holidays, people often let both their own routine and their dog’s routine slip. As you indulge in holiday foods, resist the temptation to feed your dog table scraps. Eating table scraps can contribute to digestive and weight problems. Stick to a normal feeding routine, and make sure you take your dog out regularly – if not as often as usual. Remember, regular exercise is one of the best ways to keep your dog healthy and happy. Fleas, neutering and spaying, worming, and grooming – all are important concerns for the puppy owner. Get helpful hints on these topics in this article. Having a new puppy in the home is rather like having a new baby around. It’s not always easy to distinguish serious problems from minor ailments. All licensed vets are trained in professional animal care. You may be drawn to one in particular because of the convenient location of the vet’s clinic, the services he or she provides or simply because you find your vet especially easy to talk to. The only sure thing is that choosing a vet is part of your obligation to your dog. Ask your breeder or friends to recommend a vet. When should you consult a vet? It’s a good idea to get your vet to give your new puppy a check-up as soon as you get him. You can discuss vaccinations, de-worming and general puppy care. Seek advice from your vet if your puppy refuses food for more than a day, if he has diarrhoea or vomiting, or if he is lethargic for no reason. If you don’t intend to breed your dog, then you should seriously consider neutering. Spaying and neutering an animal will cause minimal discomfort. Spaying and neutering can reduce the risk of several different conditions later in life. Your vet can advise you about when it’s best to have the operation done. If you decide not to get the operation for your dog, you should be prepared for some unexpected changes. Unneutered males, for example, will often roam after female dogs in heat and will become aggressive. If you do not wish your female dog to become pregnant, you must carefully supervise her when she is in heat. They are also prone to phantom (or false) pregnancy, which could require veterinary treatment. Many puppies are born with roundworms. To ensure that your puppy thrives, it is important to get rid of these worms. There are many safe, effective products available for this purpose, and your vet will be able to prescribe a suitable treatment. A professional breeder will usually give puppies worm treatments from the age of three weeks, repeating as and when necessary. Check with the breeder and talk to your vet about your puppy’s de-worming programme. Many adult dogs also carry roundworms. To ensure that your dog stays worm-free, continue to de-worm him every six months for the rest of his life, or discuss frequency with your vet. If you notice fleas in your dog’s coat, visit your vet, who can recommend an effective treatment for the elimination of fleas. If you choose to buy flea powders or sprays in a store, check that these are suitable for use on puppies. If your dog has fleas, you need to treat his environment as well. Wash all the dog’s bedding. Wash the basket and clean the boxes, corners, rugs and furniture. Use dusting flea powders or aerosols. If you are in any doubt about a particular flea product, ask your vet for advice. There are also many professional companies that can treat your home for flea infestations. Your dog’s eyes and ears should always be clean. The eye area can be gently cleaned with moist cotton swabs. The ears can be wiped with dry cotton batting. This must be done carefully, without poking anything inside. Your dog’s claws should be checked. If you walk your dog on hard surfaces (such as asphalt), remember that the claws wear down, and in this case, you don’t need to do anything. However, if your dog walks mostly on grass, his claws will need regular trimming. Your breeder or vet can show you how to do this properly. Puppies enjoy chewing on everyday household objects. Discourage your dog from doing this, and provide him with specially designed toys for chewing. Although puppies will generally not have problems with their teeth or gums, plaque can quickly build up at the base of the teeth. This can cause gum disease in dogs as young as 12 months. To reduce the risk of this happening, regularly check your pet’s teeth. For adult dogs, special dog biscuits or chews are very beneficial, and help clean the plaque off your dog’s teeth. You can also introduce tooth brushing at this age. As a general rule, dogs should be bathed infrequently or only when necessary. They may need a bath when they have fleas or when they’re dirty and a simple brushing is not enough to get the dirt out. Much depends on the dog’s breed. Smooth-coated dogs require minimal grooming, while dogs with longer coats should be groomed every day. A responsible dog owner should have a good grooming brush and comb, preferably one that has been specially developed for dogs. Poodles require clipping every six to eight weeks. Dogs with silky coats, such as Cocker Spaniels, should be trimmed every three months. Dogs with wiry-haired coats, such as Terriers, need to be clipped every six to eight weeks. Each breed is different, so always consult your breeder for more detailed information. Dog diabetes is a silent killer that is engulfing our pooches’ health and well-being mutely. Sooner we detect the disorder, better the chances of recovery. In our last issue, we shared in-depth information about the doggie diabetes. As a sequel to it, we are now presenting cure ‘n’ care for it. If your pet suffers from diabetes, don’t lose hope as it can be controlled by proper treatment and cure. The treatment requires lot of patience…but it’s not at all a big-ask for our pooches pink health. Stabilizing the patient and correcting ketoacidosis and dehydration, if present. Restoring the levels of blood glucose to as near normal as possible. This will reduce the risk of longterm complications such as cataract, kidney problems, etc. Correct glycosuria (that is the presence of glucose in urine). Once this is done, it will automatically reverse the symptoms of excessive urination and hunger. One needs to remove any predisposing factors; females need to be spayed once they are stabilized. Any sort of corticosteroid, hormonal therapy needs to be stopped, if it is safe to do so. Immediate weight reduction and long term weight management of the patient is critical; this includes a strict diet and exercise plan. Administration of antibiotics to eliminate any infection, e.g. urinary tract infection. A fixed and a constant amount of food each day will monitor his appetite better. Is he still hungry or is he leaving food behind? Assess the patient’s bodyweight on monthly basis. Develop a method to measure water consumption although this is highly variable, but a regular recording of the daily water consumption will help you establish the normal range. Observe the patient for recurrence of clinical signs. After stabilization of the pet, a regular check up is advised. A consistently good glycemic control assures the extension of time between visits to the vet. Therapy for Diabetes Mellitus involves around consistency. 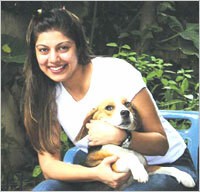 The pet needs regular administration of medication, feeding and stable stress-free lifestyle. Insulin: Administration of insulin injections is the foundation for keeping the blood glucose levels in check. This could be once a day or twice a day regime. Insulin is painless when injected, the needles used are very small and the injection when given will feel like an ant bite. The injection is given under the skin; the pet parent should not panic about causing any vital organ damage. It is crucial to administer the injection at the same time every day for better and stable results. Diet: An overweight dog needs to lose weight through a combination of a weight reduction diet and personally designed exercise programme. Commercial diets are available in the market, which are a healthy weight loss option. If giving homemade food, then do discuss the diet chart in detail with your vet. Exercise: Regular exercise promotes weight loss, improves insulin absorption into the cell, and enhances glucose uptake by muscles. Consistency in the level and time of exercise has to be maintained. The care of a diabetic pet is very challenging; but with your dedication and your veterinarian’s expertise, your pet could continue to have a long and healthy life. One of the most common complications in diabetic pets is giving them too much insulin. If the dose of insulin is just too high, the dog can go in to hypoglycemic shock. This is a life-threatening emergency. He will become depressed, may have seizures and lose consciousness. If this occurs, take your pet immediately to the vet for urgent medical attention. On the way, a little honey/sugar solution or glucose powder paste can be administered orally. The benefits of treats towards a dog’s health are immense. Treats not only form a means for interaction but many dogs who suffer from debilitation are recommended treats that consist a lot of vitamins and proteins. The basic source of treats varies but they mostly contain nutrition and flavour or are raw hides. Problems like suffering from weakness and calcium deficiency in pups can be resolved by giving the correct amount of supplements in form of treats. Dogs normally do not like the taste of medicine and many owners have to resort to force-feeding their pets. Here, treats play a very vital role. Q : What are the benefits of treats? Dr. Rana : Treats benefit in more ways than one. Mostly treats help in building antioxidant, chondroprotective and oral/dental efficacy. Antioxidants come in treats, which contain Vitamins C and E. They help to build immune system which is very important to fight diseases in dogs and help in better reaction to canine medicines. They also help build high level of energy. Chondroprotective is beneficial for joints since they have high level of glucosamine and chondroitin. This is found naturally in chicken, beef and eggs. Joint and bones requirements are different. Joint treats are made to lubricate joints in old dogs who suffer from joint pain. Glucosamine and chondroitin helps to make the cartilage in the joint whereas bones treats are rich in calcium, which is an important requirement in growing pups for forming healthy strong bones and teeth. On an average, a dog loses glycogen, electrolytes and antioxidants like humans, which lead to fatigue and exhaustions especially during summers. Carbohydrates, electrolytes and Vitamin E and C found in treats can optimise stamina by replacing the added nutrition in his body. A normal Indian household have dogs on home-cooked diet which are soft food giving rise to many dental/oral problems, which give rise to gingivitis, foul smell which then lead to digestive problems. Hence dental bones and chews is a ‘must’ recommended for dogs. Q : What are the nutritional benefits of treats? Dr. Rana : The nutritional benefits go like this. For bones, calcium and vitamins are important. For eyes, treats must contain Vitamin A while for a healthy coat, the treat should be rich in oil and fats containment. Dental tartar leads to many liver problems, hence dental treats and treats that are low in carbs should be given till the problem is solved. Q : What kind of treats are good for dogs? 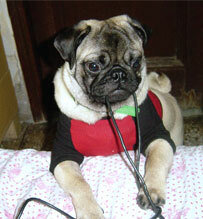 Dr. Rana : Treats should not be changed often, unless the requirement of the dog changes. If the pet is suited to a certain treat or likes it, much variation or experiment should never be done. Treats are present in a large variation but what the owner should look at in terms of treating for health benefits should be as per the requirements of the dog. If you have a pup, give him treats for protein, if he’s a debilities old dog, give him soft treats for joints. Similarly, dogs suffering from bad oral hygiene should be given dental treats. Q : What ingredients are mostly found in treats? artificial flavours, minerals, vitamins, supplements, biotin supplements, sodium, etc. Q : What indigents should an owner look at before buying treats? it will definitely lead to overweight or obese pets since treats are rich in proteins and fats. A treat containing high carbohydrates tends to make a dog put on weight. You should always look for a treat that is easy to digest. Pets react to total calorie consumption so that should always be kept in mind. Totally calorie consumption given to the pet works as : Daily diet = Food + treat + supplements. If the nutritional requirements of the dogs are kept in mind, then this cycle shall never give rise to overweight pets. Q : What ingredients in form of treats could be harmful to pets? Dr. Rana : Chocolates are a big mistake. Treats in small quantity are good. A biscuit is better than “roti” since they might start replacing it with their normal diet. Natural vegetables treats like veggies or fruits can be given in very small amount like half a piece of apple. Some dogs can be allergic to certain food like milk or meat, hence all owners should read carefully before giving a new treat to the pet. Look out for the content chart to avoid any unnecessary casualties. Allergy information are also given on the packet of the treat most of the time. Q : What are the feeding recommendations? Dr. Rana : Depends on the treat, instructions are given on the packet itself. Small treats can be given 2-3 per 10-lbs. of body weight per day. Treats were earlier based solely on hard baked biscuits. But as more and more variety are available, a responsible owner should understand the connection between nutrition and health. Benefit of treat on nutrition is to add the missing ‘factor’. Just as with people, hydrotherapy can be used for dogs after an injury or surgical procedure, or for chronic conditions, to help regain strength and mobility. It has been proven to speed recovery time from surgery, improve function and minimize complications. Early intervention may help them recover more quickly and completely. There is a growing consensus among veterinarians and pet owners in the United States and Europe, that a little exercise in water can be very beneficial in improving the health and quality of life for dogs. Whether young and bursting with health and energy, old and feeling sore or stiff from arthritis, or recovering from injury or surgery, hydrotherapy has something in store for almost all dogs. Hydrotherapy, sometimes also called aquatic or swim therapy, is a complimentary treatment that is coming to popularity. It is a form of active assisted exercise that includes the use of a swimming pool, underwater treadmill, or therapy spa to engage an animal in swimming activities. The health benefits of active assisted hydrotherapy have been studied extensively and are now recognized by modern veterinary surgeons around the world. Aquatic exercise is purposely advised for increasing muscle strength, balance and stamina, and is essentially a part of many rehabilitation programmes. According to Dr. Jeffrey Norton, Surgery Resident at VCA/All Care Animal Referral Center in Fountain Valley, California, USA, hydrotherapy has numerous goals and benefits, including the restoration of muscle function in the post-operative period. The decision to initiate hydrotherapy is based on the patient’s tolerance, the clinical judgment of the veterinarian, and the availability of physical rehabilitation facilities. Restoration of muscle function following surgery is critical. Water provides more resistance than air; and due to the additional support, the likelihood of further injury during exercise is reduced. However, this is a new field which is yet to be well-regulated. Apart from swimming, underwater treadmill also has its benefits to offer. As the water in a treadmill lifts 60% of the dog’s weight off its feet, while still allowing the feet to touch the ground, dogs move normally and are not frightened. This reduces the chance of injury due to thrashing and hyperextension, as it sometimes happens in a regular pool, especially to dogs who have just had surgery. Moving against the resistance of the water strengthens muscles and improves balance and coordination. Other benefits include decreasing pain and facilitating healing of injured and inflamed tissues, preventing further disuse and atrophy of affected muscles, improving strength and function of weak or paralysed limbs, besides facilitating weight loss and improving general overall condition. Hydrotherapy also relieves pain and stiffness caused by arthritis and provides positive psychological effects for both the dog and the owner. What kind of exercises does it offer? Hydrotherapy facilities currently can offer hydrotherapy rehabilitation, which include swimming, massage for exercise, underwater treadmill, and conditioning purposes. What are the factors to be considered in hydrotherapy? The function of a treadmill varies with design. There are specific designs for dogs, rather than one adapted from a human or horse treadmill. Adapted treadmills can cause injury or death to weak dogs. The extreme turbulence in horse or human treadmill could prove hazardous for dogs. Other factors like suitable water temperature, depth of the pool, noise level, chlorine level, etc should be equally considered. And most importantly, an expert should be attending the dog while the exercise goes on. Hydrotherapy providers should be clean, well-informed, insured and have a valid business license. Following certain guidelines will help dogs enjoy the benefits that swimming and hydrotherapy offer.